Have you seen the Netflix series Scream, based on the trilogy of films by the same name? If so, what do you think of it? 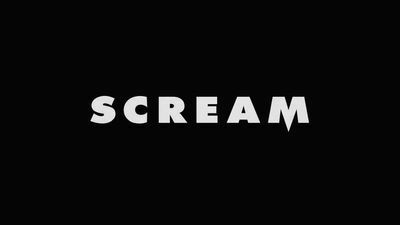 Scream series logo. Public Domain. Scream was actually made by MTV, and did super poorly. I liked the movies, back in the day, but heard so many bad things I skipped the TV show. I'm honestly kind of regretting that now though. I still curious. How was it? Really? It had the Netflix logo on it so I thought it was one of their original series. Having watched the second episode, they did that thing that seems to be all too common in tv shows (Gotham, Chicago Fire, Pretty Little Liars... ) and killed off the one lesbian character. I've seen the pilot. I'm not sure why I clicked on it since I hate the misogyny of the plot centering around (to begin with) a woman's grisly murder. I kept watching though. I didn't like the way they made the initial victim out to be a bad person, as though that justified what happened to her. Also, it's kind of lame that the high school kids all look about 30. They used to do that with a lot of US shows, but it's perfectly possible to cast teenage actors to play teenagers, like they do in Degrassi. The concept of seeing whether a slasher plot can work for a series as opposed to a film is intriguing, though so far the execution seems to be a bit hamfisted. Maybe it will improve after the pilot. Not sure if I will continue watching though, with so many better shows out there.